Amsterdam Mamas founder Emmy McCarthy, 39, is British and surprised by how family-orientated the Netherlands is. For example Amsterdam, she says, has over 400 playgrounds. True story: my husband accepted a job at head office, and then told me it was head office Amsterdam, not London where we lived at the time. We shuttled between the two countries for a while before settling in Amsterdam after the birth of our son. I’m definitely an international, more accurately a European. The Netherlands is the fifth country I have lived in so I feel very European. We have no plans to leave. We love Amsterdam, we love the life we have built here and being actively involved with a large local community. It would be very tough to leave. I speak a little Dutch, more than I usually let on! It is my fourth language and the one I am least confident speaking. My understanding is good, I read Dutch and can follow conversations, but like many people I struggle to respond in Dutch. It’s a work in progress and something I am continually trying to improve, especially as a business owner here. Cheeeeeese! I really love the cheese here, and the variety of cheeses. In general, the food quality is very high here and the opportunity to eat fresh and in season fruit and vegetables is something I am very grateful for. I think, like any foreigner, I have pangs of homesickness sometimes. I miss my family, but they are pretty spread out anyway, I miss friends. Sometimes I really want to just understand something, without having to check and double check that I have translated it correctly. Every time I return from a trip ‘home’, however, I am so grateful to be back in Amsterdam and feel very privileged to have built a home here. I’m not sure how to answer that! Not very, I would think. I tend to carry traits from all the places I have lived and cultures I have experienced. If there was something I would like to have absorbed from here it is that I am a much more relaxed parent than I would be elsewhere. The city is fantastic for kids, there is a strong family culture and I hope that I have become ‘Dutch’ in that way. Get off the tourist track, get lost for the day. Even if you have children, just wander and see where you wind up. There are dozens of tiny shops and cafes waiting to be explored and over 400 playgrounds, so even if you are travelling with shopping-hating kids you will find something to do. The thing that surprised me most was just how family-orientated it is. Having lived in several countries, this is by far the most geared towards family life. There really is a reason that Dutch kids are the happiest in the world and Dutch mothers are consistently ranked amongst the highest in the world. Outside of the Netherlands some people think that Amsterdam is all about canals, red lights and marijuana but they couldn’t be more wrong. Amsterdam is one of the best-kept secrets in Europe for families, I believe. But shhhh, don’t tell everyone otherwise they will all want to live here! That’s so tough to answer! Whatever I did it would be in Amsterdam and hopefully with good (enough) weather. I would start the day with breakfast on the terrace of a café, wander the streets, soak up the atmosphere and ramble through some of the parks. We would grab a canal-side seat to watch the sunset and the day would end with dinner in one of our favourite restaurants. Then we would walk back alongside the canals, sparkling with lights. 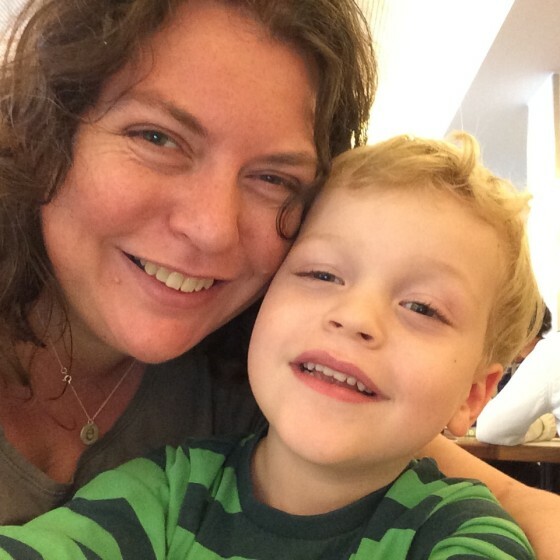 Emmy McCarthy is the owner of Stichting Amsterdam Mamas, a not-for-profit organisation providing information and support to English-speaking parents in Amsterdam and the surrounding regions. She has lived in the Netherlands off and on since 2007.